Nurturing Birth offers mentoring to doulas across the world. The Initial Doula Mentoring Programme is available to anyone who has recently completed a doula preparation course and is embarking on doula work for the first time. Our Experienced Doula Mentoring Programme is available to doulas who have completed an initial mentoring journey and/or who would like additional support, reflection and confidence. Nurturing Birth mentors are experienced doulas gifted in empowering and encouraging others and have been carefully selected and trained by the Nurturing Birth mentoring team. All Nurturing Birth Mentors are mentored themselves and fully follow our vision: “to nurture, inform and empower doulas and families”. Many mentors have lived/worked in other countries and speak different languages. On signing up for mentoring a doula will have access to the full list of mentors available and be supported in choosing the right mentor. Both mentors and mentees receive guidance on how to make the most of the mentoring programme, which is usually conducted by Skype video calls. Michelle is an experienced birth and postnatal doula based in Greater Manchester. She has been involved in mentoring across a wide range of communities since her teens, particularly in areas of doulaing, parenting, relationships, marriage and life/work balance. Supporting and training new mentors is a particular passion and interest. Michelle has been a volunteer for The Miscarriage Association for over ten years, facilitating the Manchester Support Group, providing phoneline support, mentoring new volunteers and acting as media spokeswoman. She is known for her caring honesty and availability to listen in moments of crisis and intensity. 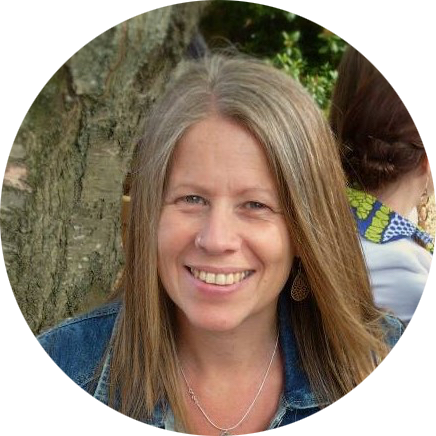 Michelle is the writer and facilitator of ‘Supporting Every Birth’ an interactive workshop for doulas looking at supporting both clients and themselves through all birth journeys including baby loss. She is a member of the European Doula Network. Michelle is married to Iain and they are parents to 5 children. She likes silence and rest, but also loves the business of hospitality, community and family. Being mentored was affirming, challenging and life-changing all at the same time. When I embarked on my journey I didn’t truly appreciate what a mentoring process like this would give to me. To have someone walk beside you, gently question you and encourage self-reflection while being absolutely present for you is such a gift. I continue to come back to what I gained from her and also to come back directly to her for support and mentoring even after many years and varied experiences as a doula in the UK and overseas. I refer to her as my doula guardian angel and knowing I can come back to that relationship at any time is something I value a great deal.